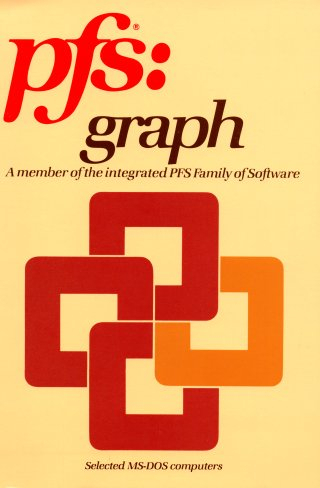 The PFS application series was a set of easy to learn entry level applications produced by Software Publishing Corporation (SPC) during the 1980s. 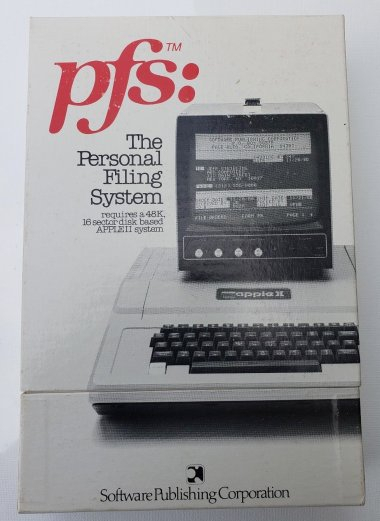 The first product in this series was a simple flat file database named "Personal Filing System" for the Apple II. Additional applications followed for DOS, Apple II, Apple II, TRS-80, and Macintosh, using the prefix "PFS:" to distinguish the brand. The more popular applications included PFS:Write, PFS:Graph, PFS:File, and PFS:Report. Various smaller utilities also fell under the PFS name, such as PFS:Proof and PFS:Access. 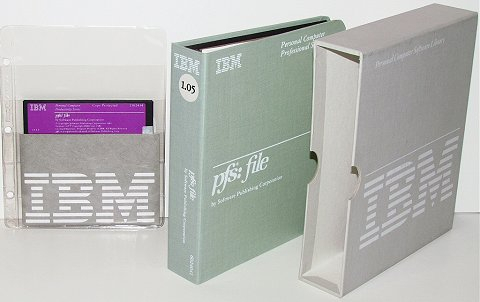 Part of their success was probably due to a licensing deal with IBM around 1982, where IBM branded PFS applications were sold by IBM alongside early IBM PCs. Later versions around 1984 were sold by IBM as part of IBM's "Assistant series". This included IBM Writing Assistant, IBM Graphing Assistant, IBM Filing Assistant, and IBM Reporting Assistant. Like Microsoft, SPC also provided their software to other OEMs, and supported it on numerous IBM PC clones. Some OEMs bundled PFS software with their new computers. Officially supported clones included: The Compaq Computer, Hyperion, Panasonic Sr. Partner, Corona PC, Columbia Data Products MPC, and Eagle PC. PFS applications were also ported and customized for other DOS computers. A Tandy branded OEM is known to exist, and a port for the Texas Instruments Professional Computer (A non-IBM hardware compatible DOS machine) has been seen. Interestingly, most of these early applications maintained compatibility with DOS 1.x. This makes sence as they were also targeting lower spec systems, cost conscious consumers, and clones that may not have had OEM DOS 2.x available in a timely manner. SPC used a rather odd version numbering system. On the early PFS: series, they use version numbers in the format A:00, A:01 A:02 A:03, B:01, C:01, etc.. And, unless there is some trick, their version number can only be seen by looking inside the executable file. In the early 1990s, SPC sold the entire PFS line off to Spinnaker Software, only holding on to Harvard Graphics. It is not clear what, if anything, Spinnaker did with the PFS products. Apparently, they did re-release a program under the name PFS:Write for DOS. 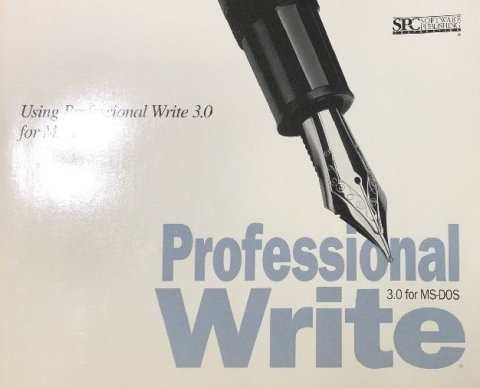 That was strange, as PFS:Professional Write was far superior.